NASA astronaut Nick Hague and Russian cosmonaut Alexey Ovchinin finally made it to the International Space Station today, five months after their first trip went awry. 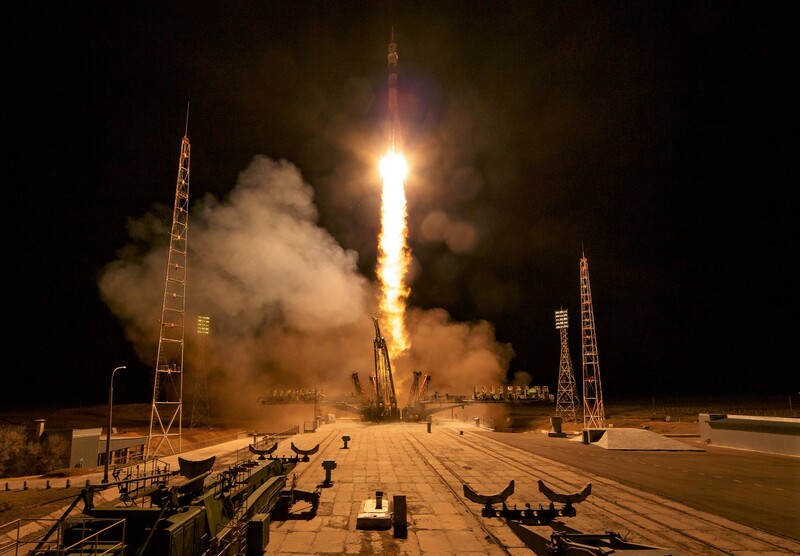 The two spacefliers were due to join the station’s crew last October, but as they were ascending from Russia’s Baikonur Cosmodrome in Kazakhstan, one of their Soyuz rocket’s side boosters knocked into the main core, causing a rare abort and activation of the Soyuz capsule’s escape system. The capsule was thrown clear of the rocket, and Hague and Ovchinin made a safe but rather rocky ballistic landing. It took weeks to track down the cause of the anomaly — a bent sensor — and ensure that the anomaly wouldn’t reoccur. It took months more to get the pair back into the flight rotation. Today’s trouble-free launch from Baikonur sent them into space in the company of a third crew member, rookie NASA astronaut Christina Koch.